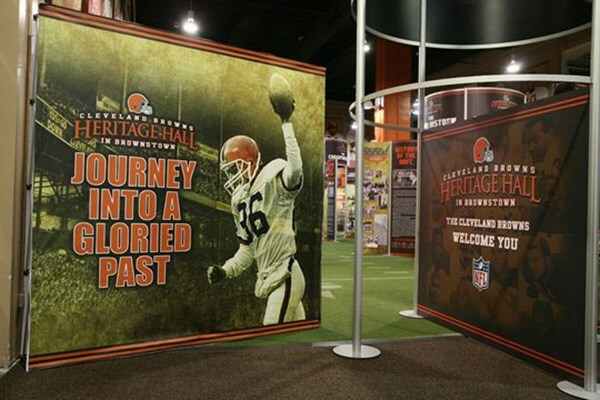 The Cleveland Browns challenged 2020 Exhibits to create a special season-long exhibit known as Heritage Hall. 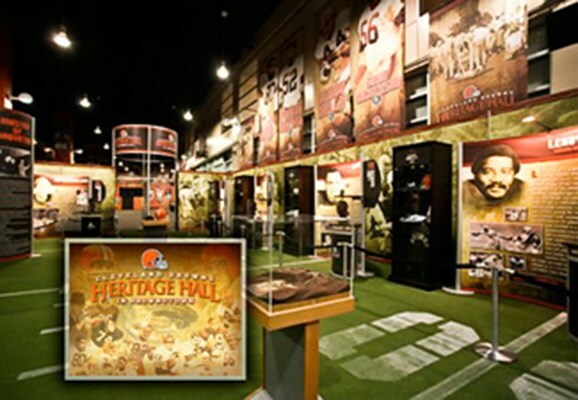 In this 4,600-square foot exhibition space, which would be located in Browns Town at Cleveland Browns Stadium, the Browns wanted recognize and pay tribute to the club's celebrated past and its 16 Ring of Honor inductees. 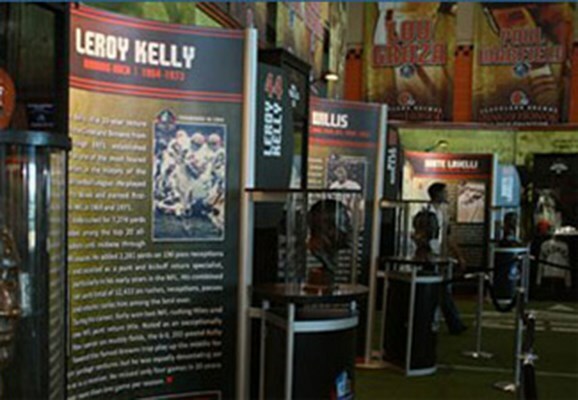 2020 Exhibits took the ball and ran with it, delivering a permanent exhibit that honors each of the 16 Ring of Honor inductees, including their busts, as well as memorabilia and photography from the team's history. The design featured individual displays which showcase each player’s story through moving text and large scale graphics. 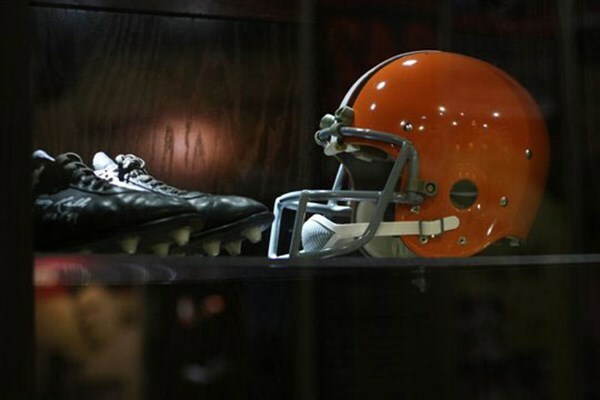 Player’s individual lockers were recreated to mirror those found in years’ past along with self-standing glass displays, filled with meaningful memorabilia including footballs helmets and jerseys. High-tech video, audio and custom lighting help bring the story to life in dynamic fashion.